9 LISTS Helter SkelterIn the late 1960s, charismatic Charles Manson accumulated a loyal cult of followers who took hallucinogenics and did whatever he said. In August 1969, they murdered eight people, including actress Sharon Tate. This list of Charles Manson quotes includes some of the strangest Manson quotes ever to be uttered by the notorious cult leader. From filthy to flabbergasting, Charles Manson's best quotes (if you want to label the stuff Charles Manson says as "best") are, if nothing else, memorable. Manson has been called many things: a cult leader, a serial killer, a sociopath, a psychopath, but he's rarely called "quotable." In many interviews, Manson speaks gibberish and tries to appear crazy, and he usually succeeds. Whether he is spouting off about love, Jesus, Christian beliefs, or the weather — it's hard to interpret his speech as anything but wild when you consider what he has done in his past. 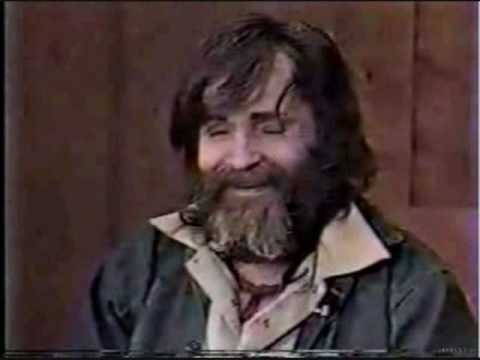 Charles Manson runs interviews like a circus with himself as the star attraction (this is well documented on his Wikipedia page). This is a small sample of some of his wildest quotes during his jail house interviews. Many psychologists believe that Manson is a man who has lost touch with reality. But in a 1980 interview with Tom Snyder, this was proven to be somewhat inaccurate, honorable mention goes to the Synder interview for the simple fact that Synder was able to control Manson by telling him to "come down off the spaceship." 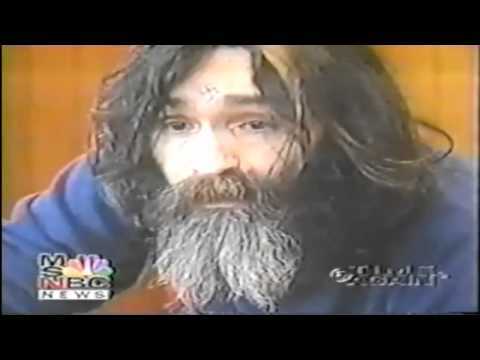 Luckily for us, not many reporters are as poised as Tom Synder, so here are some of the strangest and most famous things that Manson has ever uttered on camera. 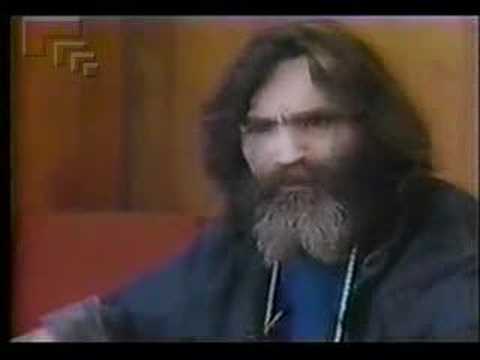 What is the top Charles Manson quote? These are 10 of the most memorable Manson quotes, so you can decide for yourself. 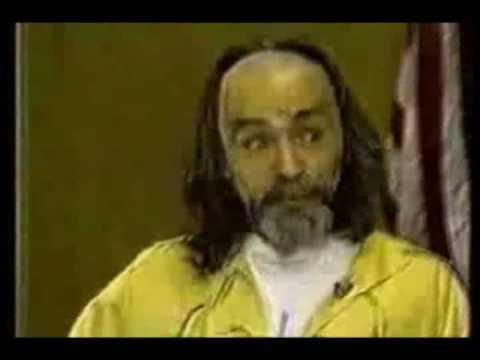 Charles Manson: Everybody's got something to blame because no one wants to look inside themselves. Reporter: What do you see when you look inside yourself? Reporter: How much evil is there? Charles Manson: As much as you see. Reporter: What do you see? Charles Manson: All of it. (laughter) Right down to peaks you haven't touched yet. Dreams you haven't dreamed, and worlds you haven't conquered. The mind is endless. You put me in a dark solitary cell, and to you, that's the end, to me, it's the beginning, there's a universe in there, there's a world in there...I'm free. Reporter: People look at you today 20 years later, and they still have no idea what you're about. Tell me in a sentence who you are. Charles Manson: Nobody. I'm nobody. I'm a tramp, a bum, a hobo, I’m a box car, and a jug of wine, and straight razor if you get to close to me. Believe me, if I started murdering people, there'd be none of you left, because my children are coming, I told you 20 years ago.